Summer is such a fun season. If you love the warmth then most likely you love playing outside. We love playing outside. Playing outside has a whole new energy that being stuck inside during the winter just doesn’t have. It’s sunny, warm and cheerful. 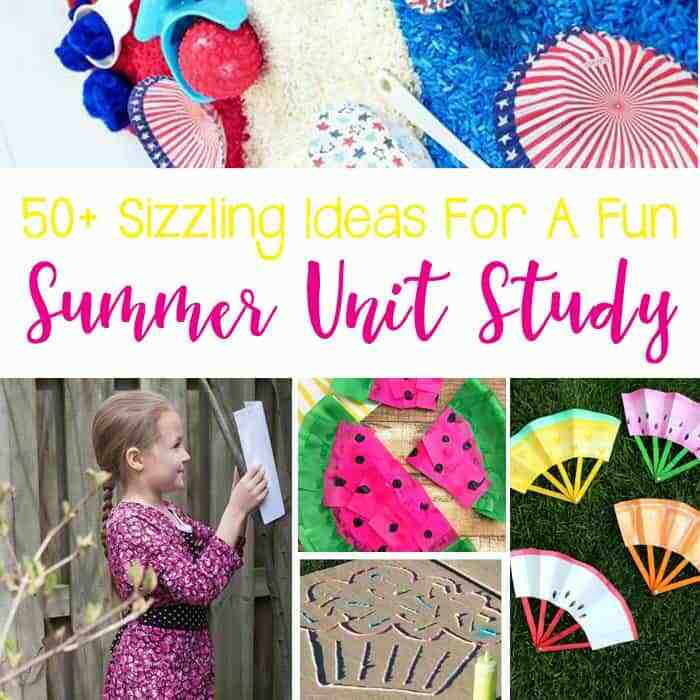 With all of these ideas your Summer Themed Unit Study can be the same way! We have included math, literacy, art & crafts, sensory and STEM. 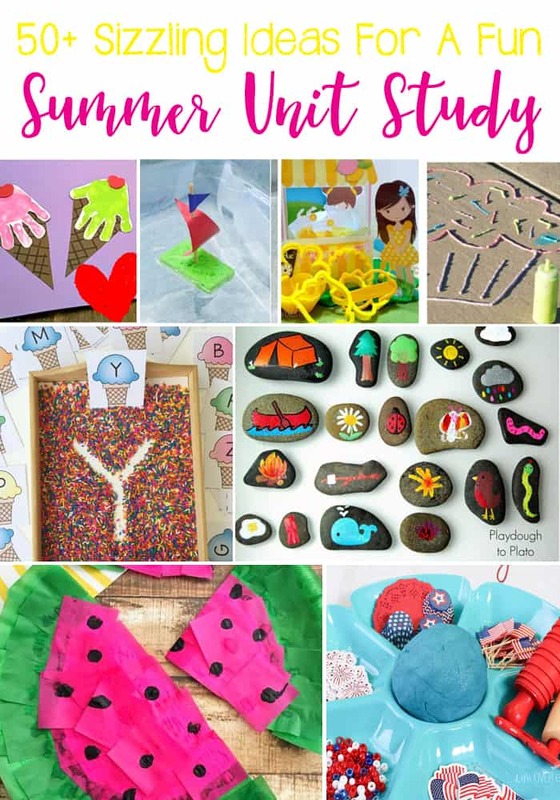 There are so many ideas for you to have a fabulous summer and summer unit study! Summer Math For A Preschool: Ice Cream Theme from Fun-A-Day! Shaving Cream Fireworks from I Can Teach My Child!